Waterfall Info: This is the upper waterfall on Goldmine Branch/Creek. This waterfall is much easier to reach than Lower Goldmine Creek Falls. 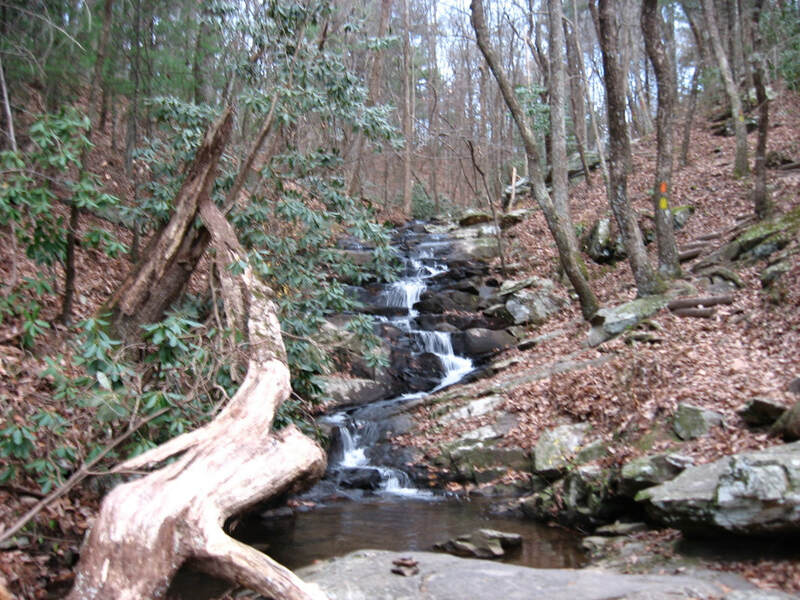 Access Info: This waterfall is located along the Gahuti Trail/Big Rock Trail. The shortest access is an easy hike along the Big Rock Trail from Fort Mountain Lake.